When you are looking for a good time in the City of Miami, there are plenty of things to keep you busy: beaches, nightclubs, and lots of shopping... the list is endless. South Florida is about much more than that, though. 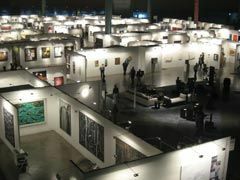 It is also an ideal place for organizers to hold a variety of Miami Florida fairs and Miami Florida festivals. Miami Florida festivals and Miami Florida Fairs are popular Miami events and attractions. Many of the Florida festivals and Florida fairs held in Miami are considered the biggest events of their kind, bringing together a diverse bunch of people from all over the world who enjoy the same things. Whether it is music, films, arts or something else, you are bound to find a Miami event that you will not want to miss and maybe meet some fun and interesting people. There is much more variety in store for you when you choose to attend one of the Miami Florida Fairs and Miami Florida festivals. There are Miami events held indoors for those who would rather not be in the sun and outdoor events for those who cannot get enough of the fresh air and sunshine. You might even get to do some star gazing while you are there, as some of these events are high-profile enough to attract hot Miami celebrities. There are also nighttime Miami events held, so you do not have to be an early-bird to take part in all the fun. You can also choose from weekend events, week-long events or in some cases, month-long ones. Some of the Florida festivals are also an opportunity for industry insiders to share information and ideas, as well as a chance for their consumers to see what the latest products and trends are. Miami-Info.com wants to make your trip planning as easy as possible. Here, you will see a detailed list of some of the best Miami Florida festivals and Florida fairs Miami has to offer. Follow the links to read all about the events you are interested in. You will be able to find out about dates, fees, activity schedules and more so you will have all the information you need to decide if a particular Miami event is right for you. For parents, this information is a powerful tool to help you decide if the event you are considering is appropriate for your children. As you may have read here before, early planning is key for any traveler, so make your reservations and get tickets in advance. Miami short term rentals are highly recommended for travelers who want to spend less money during their staying. These Florida fairs and Florida festivals are extremely anticipated by many, so if you wait too long to do so, you may end up missing out on all the action. The other sections of Miami-Info.com can help you to do this as well. There is plenty of information available about local Miami hotels, Motels in Miami, Miami deals and Miami car rental places. You can also check out a variety of other travel tips that are sure to be helpful. Do not forget to read our things to do in Miami and Miami attractions' sections! This year’s fairs and festivals in Florida, specifically in the greater Miami area, promise to be better than ever. General information about annual Florida Festivals and Florida Fairs... enjoy an introduction of the best festivals in Miami. If you need to know anything about past Florida Festivals, here you will find it! Copyright © 2002 - 2015 Miami-Info.com. All rights reserved.